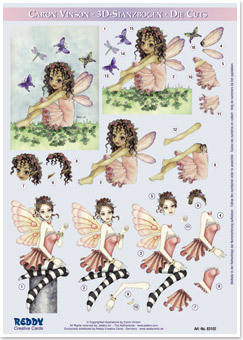 Die cut decoupage ready for for you to make a 3D image. Beautifully illustrated die cut decoupage by Caron Vinson ready for you to press out. Graduate Lady - DC45701 - Die cut decoupage with free matching backing paper.